River City Hydraulics, Inc. has served the San Antonio and South Texas area since 1984. We are known for the quality of our service and equipment. The River City Hydraulics, Inc. team plays with one goal in mind, Quality Comes First! This means that as a customer, from the moment you contact one of our staff on the phone till the time you walk into our office, you will be impressed with the quality of service you receive. 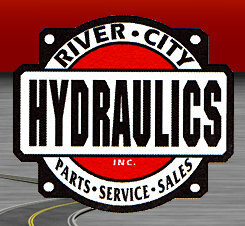 At River City Hydraulics, Inc. we take pride in providing our customers with the service they deserve and expect. Welcome to River City Hydraulics, Inc. Copyright © River City Hydraulics, Inc. 2011 All Rights Reserved. River City realizes when your equipment is down it is costing you money. It is our goal to get you up and running as quickly as possible, while providing you with the quality of service you expect. Visit our San Antonio location and you will see why, for over 27 years, River City Hydraulics has been raising the standard in hydraulic equipment, repair, and accessories. Our modern facility has sixteen bays, a forty foot state of the art paint booth, and fiberglass shop. You can be assured that your equipment is in good hands. River City is a full service bucket truck , digger derrick, truck crane ladder truck parts and repair provider. We provide inspection, maintenance, repair, and transfer of truck-mounted hydraulic equipment including but not limited to any type of bucket truck, digger derrick, aerial lift, hydraulic truck crane, as well as all associated components. We pride ourselves on a quick response and quality work done at a reasonable price. Call or stop by, you'll be glad you did! Welcome to your most complete source for hydraulic parts and service, and custom-built hydraulics. River City provides San Antonio's most complete repair shop, servicing everything we sell, and other brands of hydraulic parts. We provide service and repair of any bucket truck, Ladder truck, boom lift, hydraulic truck crane, digger truck, and truck mounted hydraulic equipment. All Makes and Models.